Weighing in at 2.38 lbs and 16.5-inches in length, Alex Fogg's record lionfish catch has him tied with Barry Shively for first place for the largest of the invasive species caught in Florida's panhandle region. The catch was recorded last Wednesday, March 25, 2015 during the Lionfish Removal & Awareness Day Festival and Tournament held in Pensacola, Florida by hosts Gulf Coast Lionfish Coalition, in partnership with FWC, Guy Harvey Magazine, Guy Harvey Ocean Foundation, and many others. 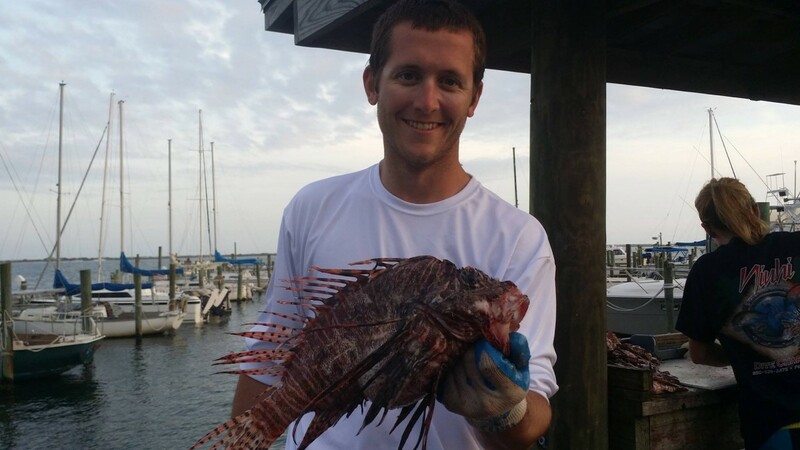 Alex is an avid spearfisherman and graduate student at the University of Southern Mississippi, studying the life history of the invasive lionfish.